Sofa shopping can be an exciting time. You get to create a new look, refresh your living room, and (of course) spend some money! 😉 But, wouldn’t you like to be able to walk into the furniture store and impress the sales associate with your designer knowledge of sofa styles? “I am looking for a Chesterfield in a neutral fabric.” Say that and watch most of the sales associate’s face go blank. 🙂 No, seriously. 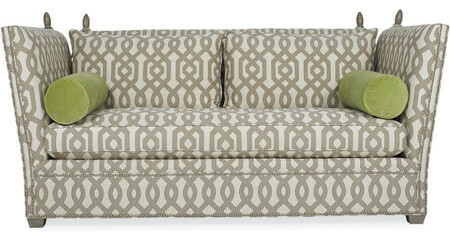 If you are lucky you will get a sales person who knows a thing or two about sofa styles. But, if not, you can feel secure in the fact that you will know yourself. 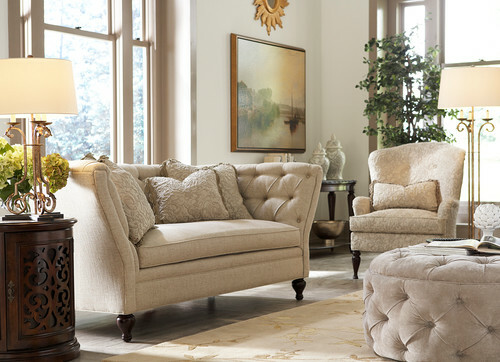 The Chesterfield features a tufted design, and traditionally came mostly in leather. (Think of gentlemen’s smoking lounges). Today, the chesterfield comes in many fabrics. 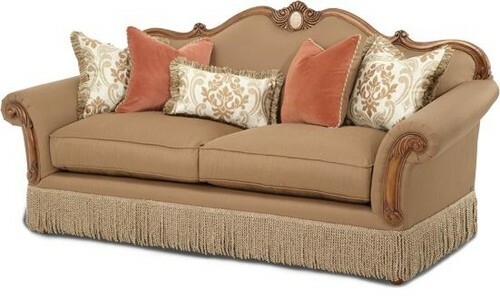 Here is a current Chesterfield sofa from Decadent Avenue in Memphis, TN. Sectional sofa’s are well known by most. It usually features an “L” shape and comes in all design finishes – from Contemporary to Rustic. 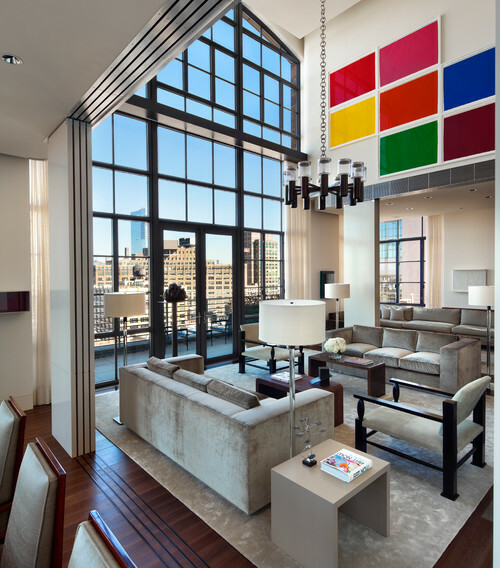 Here, a modern home uses a large sectional to fill its spacious living room. 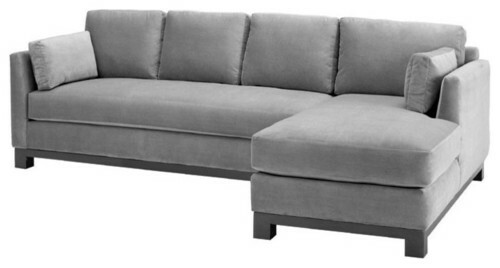 The Camelback sofa get its name from its humped curvature along the back of the sofa. It can be as elaborate or as plain as your taste prefers. The Camelback is frequently seen in traditional home designs. It may have a bench cushion (as seen above), or it can come with separate seat cushions. The back will generally have no attached cushions. A Tuxedo sofa has a high back and generally the sides will be level with the back. It can fit with Modern, Contemporary, Traditional or Transitional styles. It all just depends on the finish. Here a plain tufted back is more in line with a MidCentury Modern design. Here, the Tuxedo sofa has three seat cushions as well as back cushions. This finish could work with Contemporary or even Transitional interior designs. 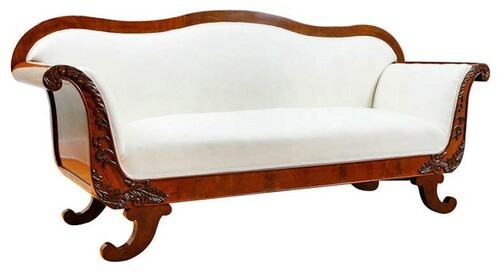 An English Sofa (otherwise known as a Club sofa) is distinguished by its low rounded arms and low feet. It has the look of a sofa that invites one to lay down. (Probably because the arms are so low, and perfect for laying ones’ head). This Club sofa comes from the Pottery Barn. As you can see, this sofa style works great for a casual look. It works well with Traditional and even Shabby Chic interior designs. The Knole sofa is distinguished by its very high back, and its equally high arms. The arms have a slightly flared angle to them, which may be adjustable. It usually has finials along the back corners. This style usually does not provide a large seating area, but works well in smaller spaces. It is suited to both Contemporary and Traditional interior designs, depending on the final finish. The Cabriole sofa is yet another smaller sofa. It is distinguished by the way the wooden trimmed back flows and curves down into the arms. 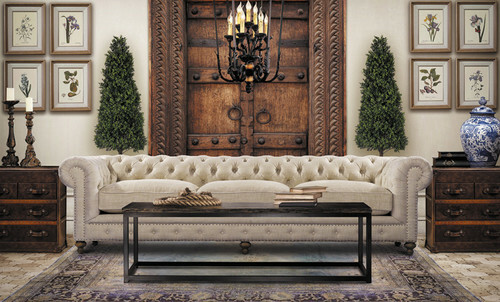 This is style is reminiscent of a settee, and traditionally would have provided parlor seating. 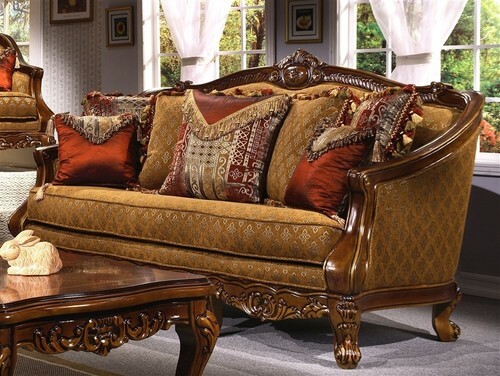 Here a larger more ornate Cabriole sofa fits nicely into this very traditional setting. The Lawson is known for being a very Americanized sofa. It has average height arms that typically come rounded but may also be squared. It most often features the three seat cushion and back. 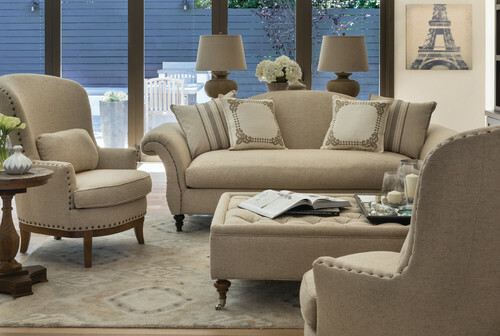 Another great sofa from Decadent Avenue, this Lawson sofa completes this casual, but elegant, Traditional design. The Empire sofa is just as its name implies – regal and flamboyant. It was based off of the Roman style but brought to life by Napoleon. 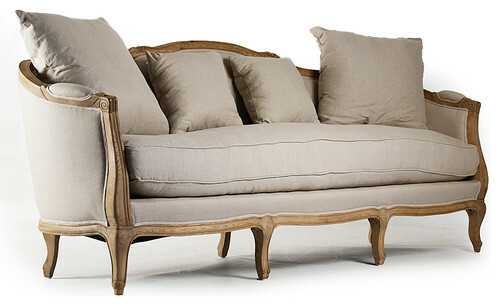 With its French origins, this sofa works in a more Victorian(ish) traditional. However, many people like to pair it with an Eclectic style. Just as the name says, the MidCentury Modern sofa is from the MidCentury. (between the 1920-the early 1980s). 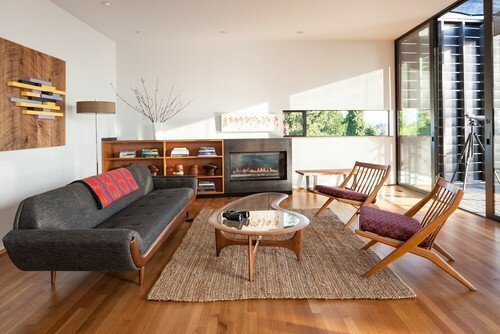 To be an authentic MidCentury Modern, it must be a style that originated during this time frame. Since several sofa styles originate from this era, there is no one style. Even the Tuxedo (mentioned earlier) can be classified as MidCentury Modern. It should also have the retro look to it, in order to actually be classified as A MCM sofa style. And of course, this style looks best with a MCM home interior, but also will look nice in a Contemporary. I really, really like the look of the contemporary living room you displayed. I love the style of the couch, the wood floor, the artwork, and the lighting! I basically want to redo our living room to match this! Thanks for the inspiration. I’m glad you like it. Good luck on your living room!